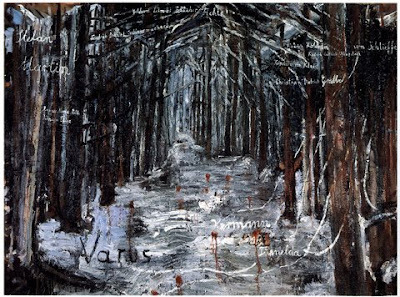 Of all the artists to provoke the term Neo-Expressionism, Anselm Kiefer is its most convincing exponent. 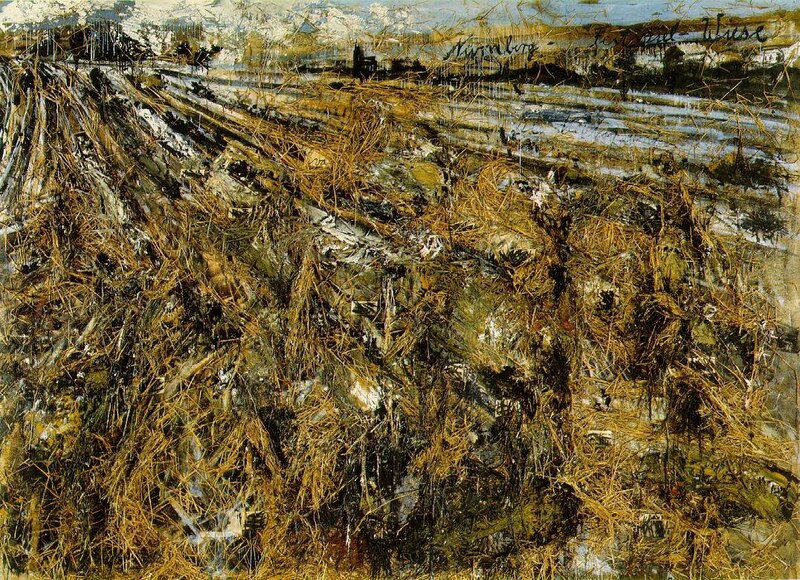 Neo-expressionism placed European art in the vanguard for the first time since World War 2. 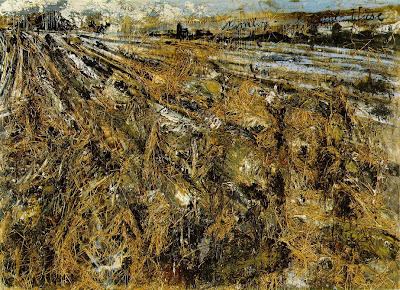 Neo-expressionism was a reaction against abstraction and the cool boredom of minimalism. 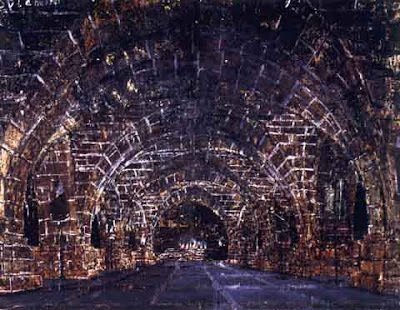 This form of expressionism developed in the 1960s and 1970s and arrived via several international exhibitions in the early eighties: Venice Biennale and Documenta 7, held in Kassell. Kiefer is the most central European of painters: “a poet in paint” that is thoroughly Teutonic and postmodern. 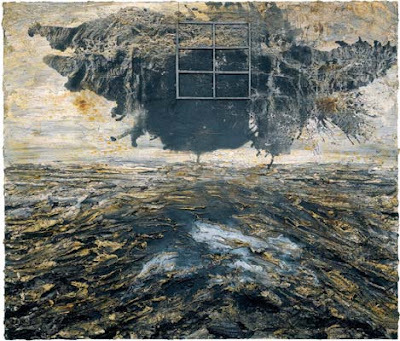 Kiefer was taught by Beuys at the Düsseldorf academy. 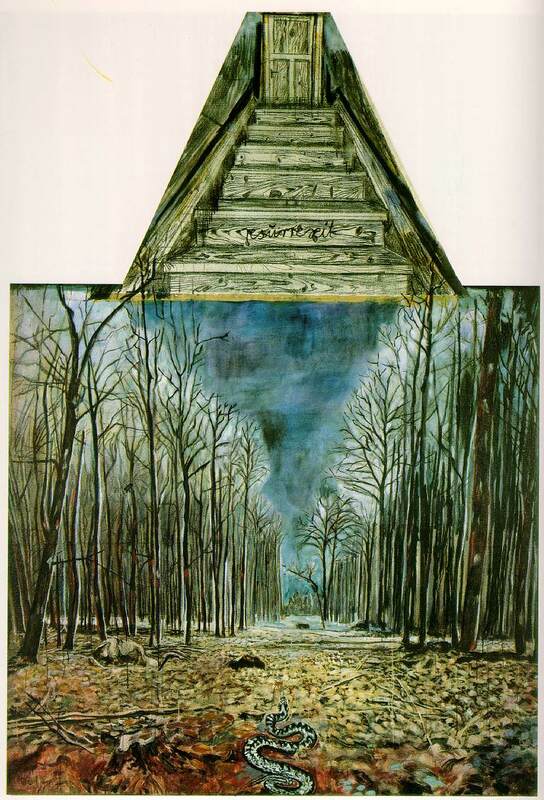 The evidence can be seen in his work which “still carries Beuys’ imprint in its materials- tar, straw, rusty iron and lead” (Hughes, 1991, p.407). (N.B. some texts spell “Shulamith” as “Sulamith”; I am assuming that this is incorrect). Margarete is the blonde personification of Aryan womanhood while Shulamith is the sybol of Jewish womanhood. For the painting Shulamith, Kiefer appropriated Wilhelm Kries’ Funeral Hall for Nazi war heroes, built in 1939 to create a blackened crypt: a Nazi monument becomes a Jewish one. Kiefer has been posted here because of his mixed-media approach and his ability to fuse an all-overness design into his paintings similar to Pollock with a politically engaged message. 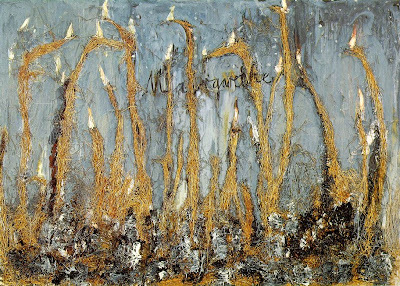 Peter Schjeldahl wrote that Kiefer had “thoroughly assimilated and advanced the eshetic lessons of Jackson Pollock’s doubleness of special illusion and material literalness on a scale not just big, but exploded, enveloping, discomposed” (Wheeler, 1991 p.314). Hughes, R., (1991) The Shock of the New, London: Thames and Hudson.